Since the news about climate is so often bad, we notice when positive things happen. If someone makes videos about the good stuff, all the better. Recently we found some hidden troves of videos focused on climate successes. and we've received permission to use the stories about these successes in our This Planet series. One great source of success stories is the Ashden Awards. Ashden presents one of the world's most prestigious awards to energy innovators in the U.K. and the developing world, and they make great videos about the winners...you can see them all here. These individually crafted videos are made by a few of the leading British environmental film-makers, like TV Trust for the Environment and Rockhopper TV to make them. See our Ashden Award-winners: Outsourcing Giant Insources Energy Savings on energy saving at India's Infosys, and Build Strong on the building material hemcrete. Another group of successful climate-related projects can be found in the U.N.'s Momentum For Change initiative, which focuses on energy innovation in the developing world. We are publishing a series of stories that have a special emphasis on women's initiatives, from Momentum's Climate Heroes documentary, narrated by actor Ian Somerhalder. 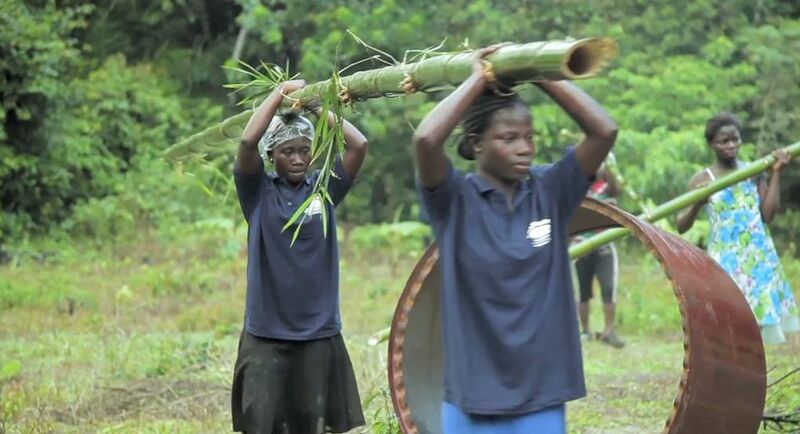 Our two stories so far: Climate Heroes of Ghana are building bamboo bicycles, and Climate Heroes of Bangladesh are taking control of their water future. More videos illustrating these success stories will be appearing on This Planet in the months to come.